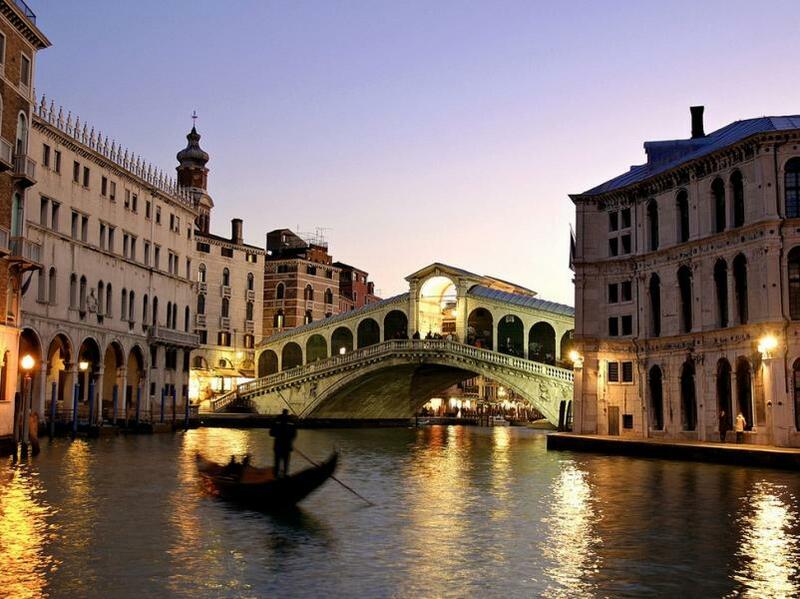 It may be the biggest cliché in the world to sail down the Grand Canal in a gondola at twilight with your own true love, but it’s also one of the most unforgettable clichés in which you could ever indulge. Although the gold and frescoes have long ago worn off the fantasy façades of its palaces, the Canalazzo, as the Venetians call it, has not entirely lost the colour of past ages. It has simply become a little more prosaic, chock-a-block with grunting vaporetti, private boats and the workaday barges, carrying lettuces, bathtubs, cartons of Coca-Cola and sides of beef all over Venice. In this city of water we offer a tour instead of a walk – if not a gondola, take the slowpoke no.1 accelerato – arranged from north to south. You could do this trip in an hour and a half or so; or you could make a day of it, stopping for lunch and hopping off to visit any of the museums and churches along the way.